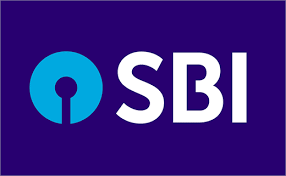 State Bank of India, SBI has cut down the charges for non-maintenance of average minimum balance in its savings accounts by up to 75 per cent. The new charges, which will benefit about 25 crore bank customers, comes into effect from 1st of next month. The bank said in a release that customers in metro and urban centres will now have to pay Rs. 15 per month plus GST. Earlier the charges were Rs. 50 per month plus GST. According to release, for semi-urban centres, the charges have been reduced from 40 to 12 Rs per month plus GST and for rural centres, from 40 to 10 Rs per month plus GST. SBI's managing director, retail and digital banking, P K Gupta said, the charges have been reduced taking into account the feedback and sentiments of bank's customers. The lender has 41 crore savings bank accounts, out of which 16 crore accounts under the Pradhan Mantri Jan Dhan Yojna or basic savings bank deposit account and of pensioners, minors, social security benefit holders are already exempted from charges on non- maintenance of minimum balance.